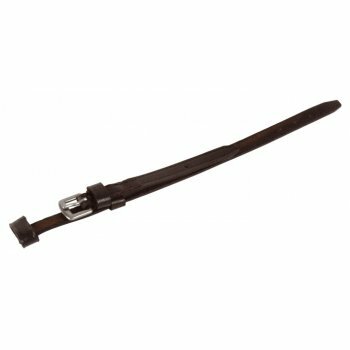 This accessory completes the Double Bridle Bit, keeps the curb chain in place and stops the bit from moving in the mouth during an accident. This can also be used on a Pelham Bit, and is recommended for the horse's safety. There are currently no questions for JHL Lip Strap Flat - be the first to ask one!